Not everyone has the same collaboration needs inside MURAL. We get that. 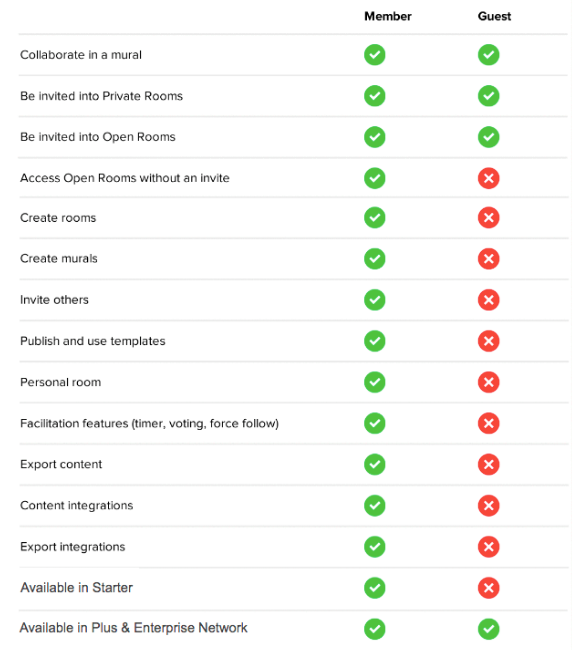 To help facilitate efficient collaboration among users, we have 3 different user types: admins, members and guests. Members are core team members or facilitators that have full collaboration access. Guests are external stakeholders, partners and clients. They have slightly restricted access. If enabled, people will also be able to collaborate anonymously in a mural without an account via the anonymous share link.